New exhibition opening at the MCA on Jan. 26 and on view until Oct. 27. The new video phenomenon Love Is The Message, The Message Is Death, by acclaimed artist and filmmaker Arthur Jafa, is a multilayered seven-minute montage of the black experience in America. The video tells a story of trauma and transcendence in a flurry of footage--from historic speeches by Martin Luther King and Barack Obama, to clips of cultural icons Beyoncé and Notorious BIG, the video flashes through concerts, home movies, news footage, music videos, and sports matches--all set to the music of Kanye West’s Ultralight Beam. This filmic journey is the centerpiece of the exhibition, which includes a rotating body of work from the MCA Collection that complements Jafa's video and captures some of the same intense emotions about life in America today. 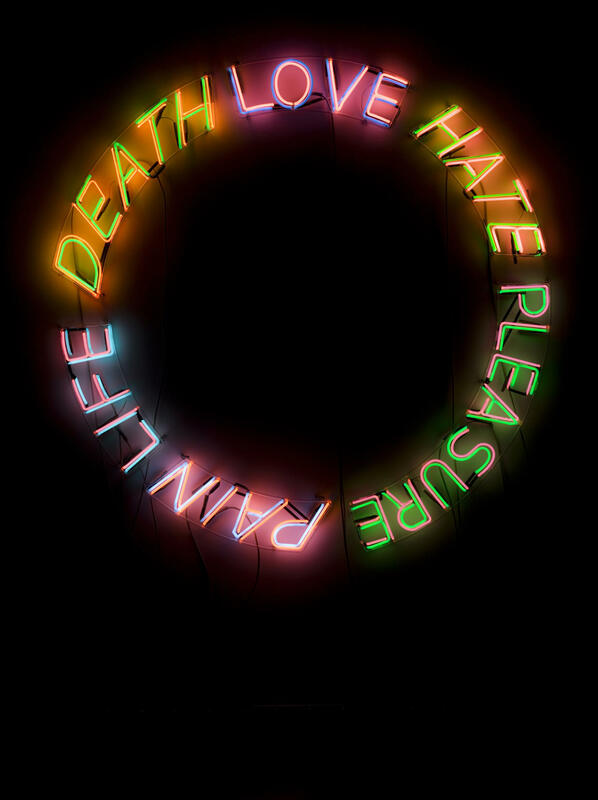 Powerful, moving works by artists such as Deana Lawson, Glenn Ligon, Kerry James Marshall, Marilyn Minter, Robert Mapplethorpe, and Carrie Mae Weems alternate throughout the run of the show, alongside the mainstay of Bruce Nauman’s iconic work Life, Death, Hate, Pleasure, Pain. This exhibition is curated by MCA Senior Curator Naomi Beckwith.